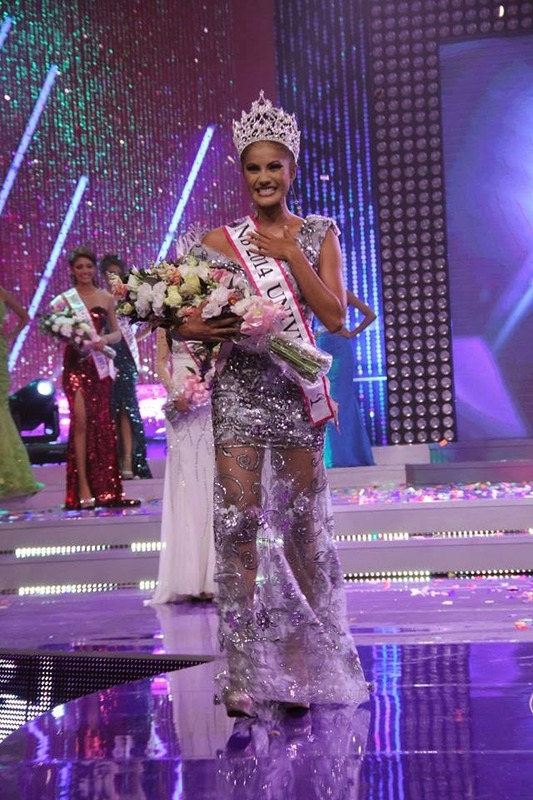 21 year old Claudia Patricia Murillo Ramos from Juayua was crowned Nuestra Belleza El Salvador Universo 2014 at the Foro 5 of Telecorporación Salvadoreña in San Salvador on May 2. Claudia stands 1.74m tall and she will represent El Salvador in Miss Universe 2014 on December. Larissa Marianna Vega Graniello (21, 1.73m, Santa Ana) was crowned Nuestra Belleza El Salvador Mundo 2014 during the same event. She will compete in Miss World 2014 in London, England on December 14. Rocio Romano was the runner-up.